Just like healthy hair, supply of proper nutrients is vital for the maintenance of healthy skin. Moringa is loaded with nutrients like calcium, vitamin A, B, C, D, E; minerals like copper, iron, zinc, magnesium, silica and manganese. 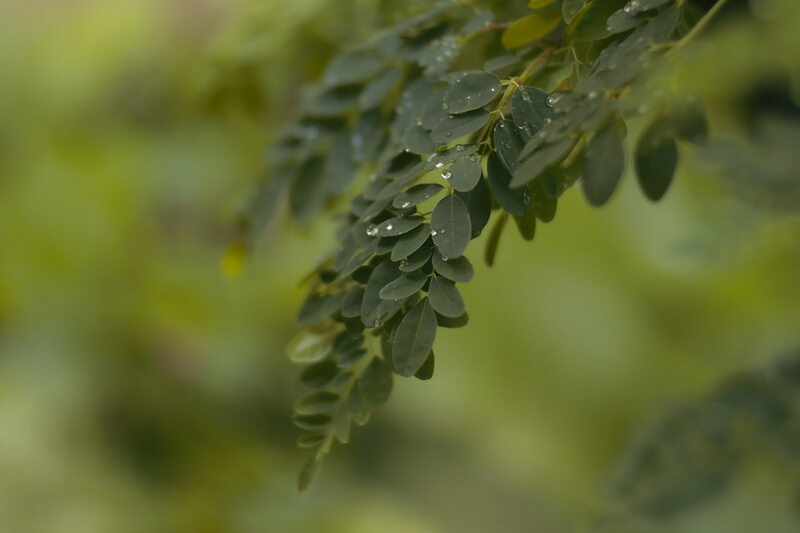 Moringa has moisturizing and nourishing properties and an excellent cleansing ability which makes it an active ingredient in skin care products. 1. Moringa has been found to possess anti-ageing properties. The effect of free radicals on human skin causes the appearance of wrinkles and makes the skin aged and less resistant to lines. Moringa has excellent cleansing ability which aids in cleaning the skin cells of free radicals and restoring the vitality and youthful complexion of the skin. 2. Moringa leaves contain about 30 antioxidants that contribute greatly towards healthy skin. Moringa oil is highly absorbable and hence helps in delivering these powerful antioxidants to the skin cells. 3. Moringa leaves also contain sulphur. This mineral is present in every single cell of the body and is the key ingredient for Collagen and keratin. Collagen is an elastic substance that gives flexibility and softness to the skin and keratin is a rigid substance which gives the skin rigidity and strength. These two substances form the majority of skin tissue and are made up of proteins constructed from sulphur. 4. The seed extract of moringa herb is popular in the cosmetic industry due to its therapeutic skincare benefits and skin purifying properties. It possesses the ability to filter out impurities that are deeply rooted within the skin and has an amazing detoxifying and rejuvenating properties. It enhances the fairness of skin by balancing the natural skin color and tone. A paste made from moringa leaves beautifies the skin and can be used as a face mask. 5. The ben oil which is extracted from moringa seeds is used to soften and soothe baby’s’ skin. 6. Moringa seed extract is used in protective creams and has the ability to provide protection against cigarette smoke and heavy metal pollution. 7. It is a powerful cleaning agent and moringa seed powder is used as an active ingredient in deep cleansing creams and lotions. It protects the skin from adhering pollution and smog.